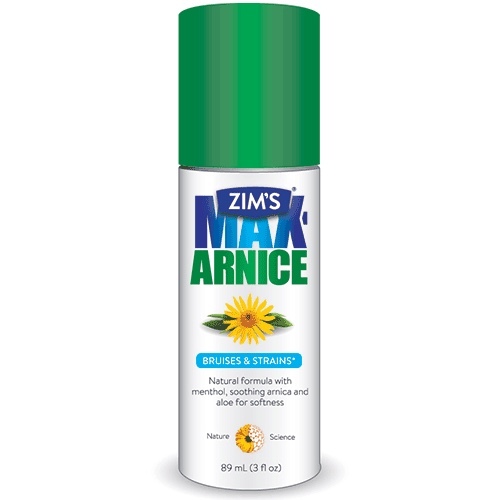 Zim’s Max Arnica Roll-On is used for the temporary relief of minor aches and pains of muscles and joints associated with simple backache, arthritis, strains, bruises, and sprains.It’s a blend of Arnica and Aloe. I was sent out a bottle and I figured I would try it on my heal. It has been sore for a while but I’m not sure exactly what I did to it. Anyway I rubbed it on over a period of 4 days. Right away I noticed it has a cooling effect which is nice. I helped with the redness on my skin pretty quick. I used arnica before but I thought this one was nice because its a roll on and easier to use than a tube of it. This is great for soreness, redness and bruising. It’s something thats good to keep in a gym bag or with you other natural meds. Zim’s also offers Freeze patches, gel and sprays. You can check out their site if your looking for natural alternatives for pain and soreness. They also have diabetic formulas for wound care.